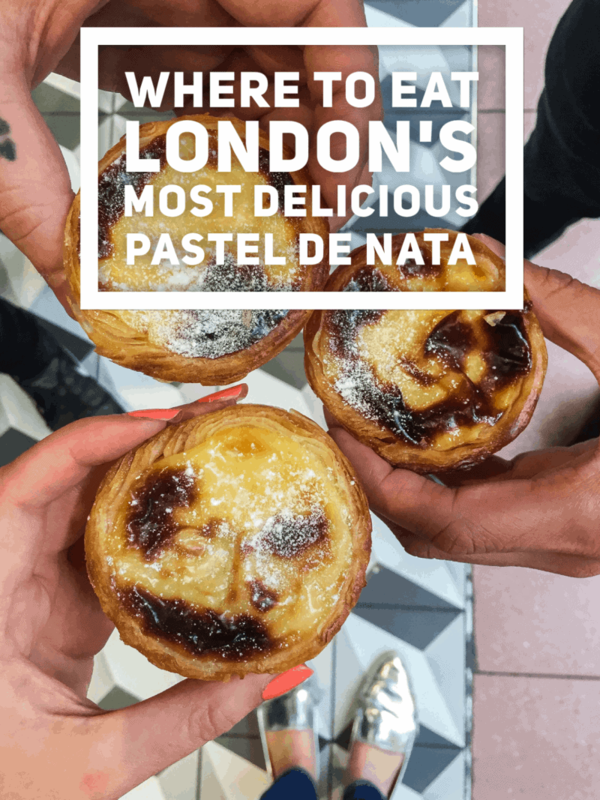 What are Pastel de Nata and where did they come from? Pastel de Nata are the Portuguese pastry delicacy that dates back over 300 years ago. It’s said that in the parish of Belém, Lisbon nuns and monks used egg whites to starch their clothes and had a lot of leftover egg yolk that they used in making desserts. Sadly, In 1834, all convents and monasteries were shut down and the clergy and labourers expelled. In an attempt at survival someone from the monastery offered these sweet pastries for sale in the shop next door to the monastery which we now know as the famous Pastéis de Belém. Pastéis de Belém in Lisbon is the only place in the entire world that creates pastel de nata made with the secret original recipe from 300 years ago and it remained unchanged to the present day. Sadly, I’ve never been to Lisbon to try the original tart (but it’s on my list!) however I am fortunate enough to live near some great places in London re-creating this historic masterpiece with its signature flaky outside and gooey, custard inside. 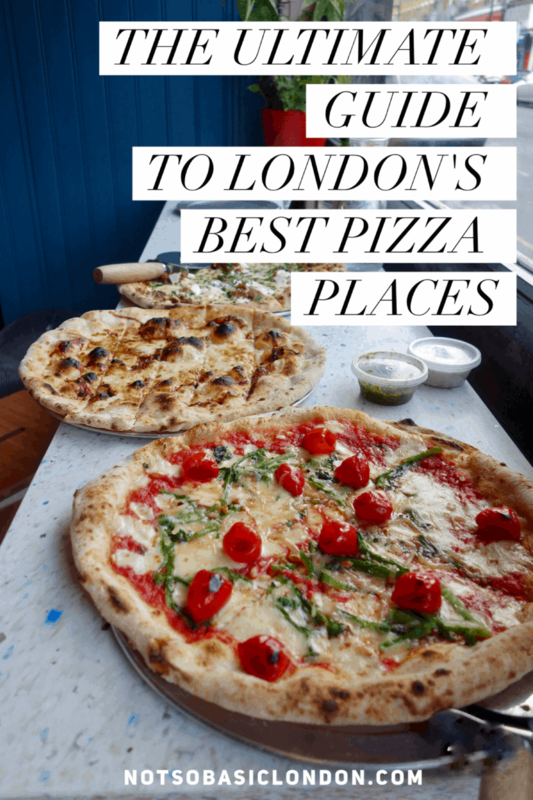 Here are some great places to eat them in the capital. Lisboa Patisserie is a no fuss, no frills Portuguese cafe near Portobello Road in Notting Hill. They have been open since the 1990s and inside is a little rough around the edges but it certainly has rustic, authentic charm. 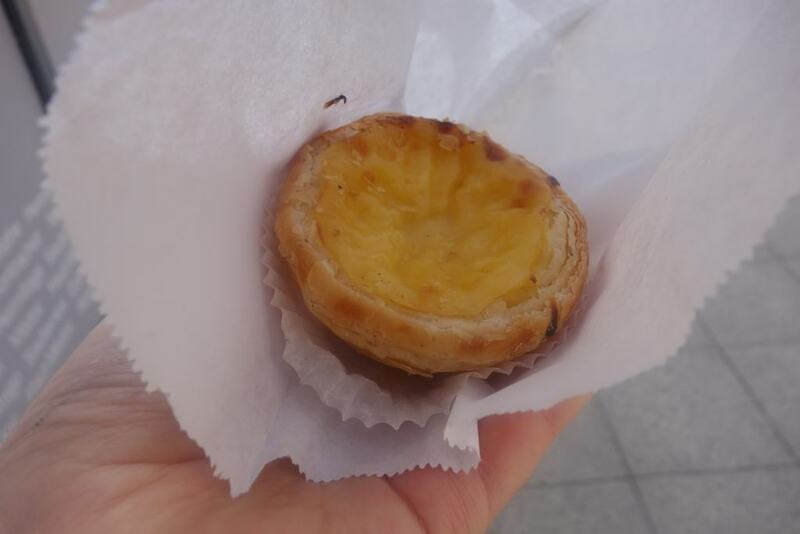 They sell a whole load of Portuguese treats but are most famous for their traditional, glossy and flaky custard tarts. Queues are usually out the door but they don’t mess around so expect speedy counter service and tables that turn around quickly. Take a detour here if you’re around Portobello market. A Portuguese Love Affair is a cute Portuguese deli in East London. They originally started as a shop on Columbia Road (where the famous flower market lives) where they sold Portuguese home wears. Fast forward three years later they opened up a second spot focusing on what Portugal is mostly known for – its food, its community and of course its pastel de nata. These golden beauties are baked fresh every morning for the store as well as for outlets across London. A real piece of Portugal in London. 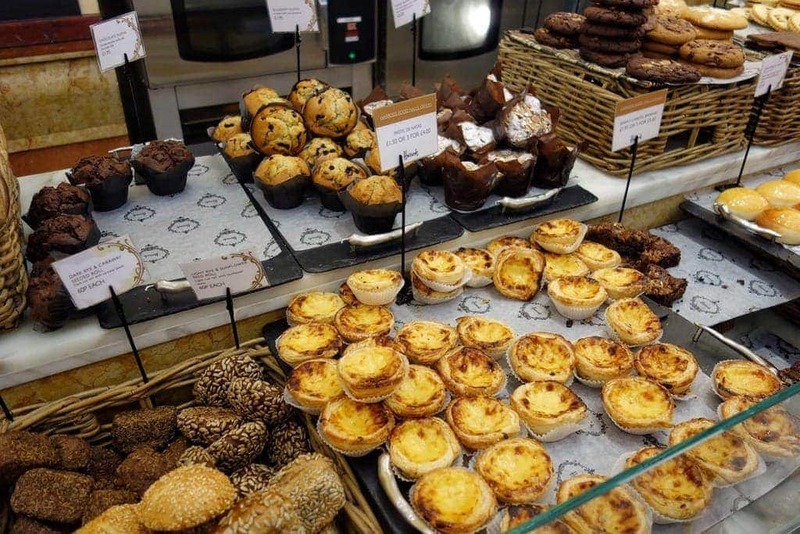 Cafe de Nata have got a true passion when it comes to their custard tarts. 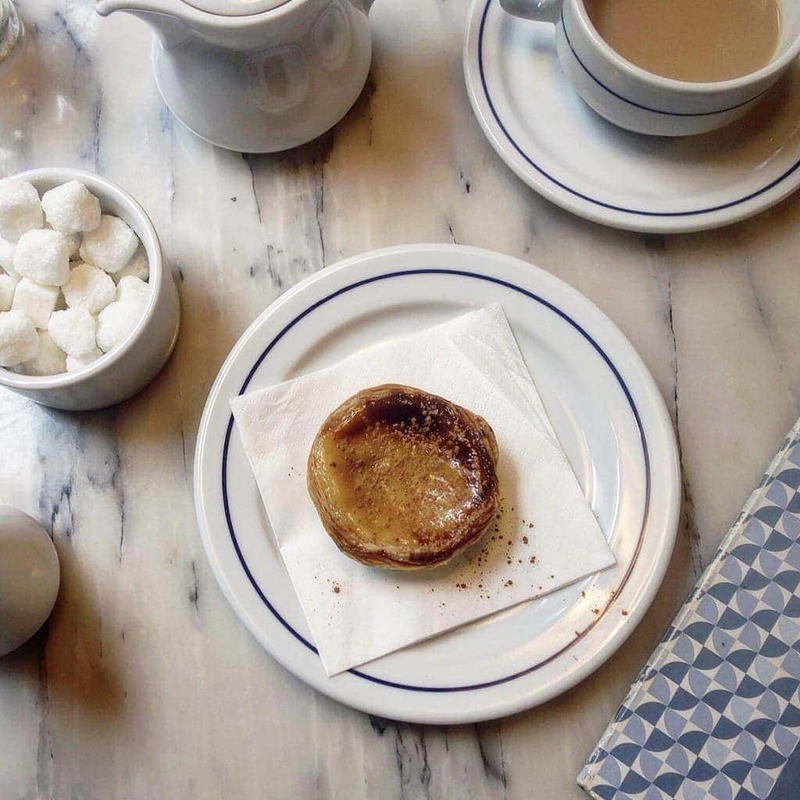 As the name suggests this cafe is completely dedicated to pastel de nata and everything is made in their tiny kitchen, with their own hands and in their own words ‘with love’. 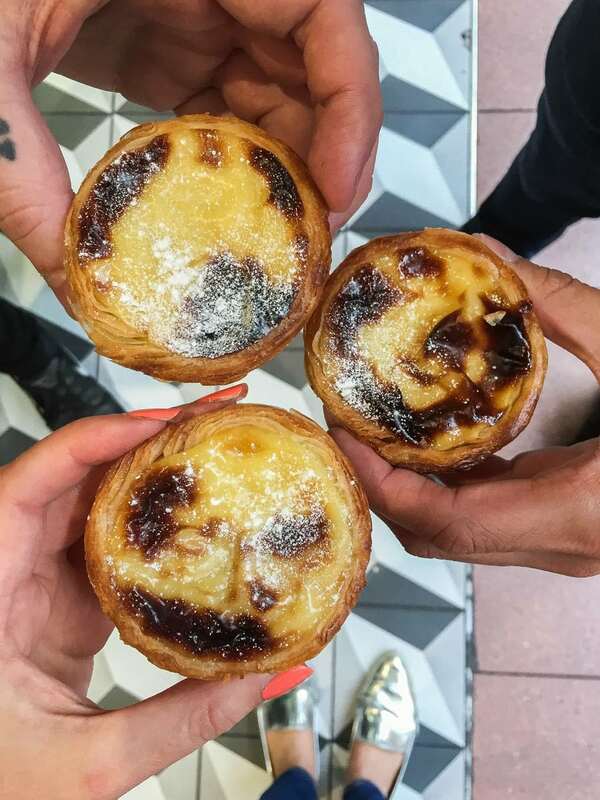 Like the original, the recipe is known by only a few members of staff and the time, effort and devotion that goes into just one of these pastries at Cafe de Nata is unbelievable. If you do want to learn how to make them first hand you can join their 3-hour masterclass. Contact them for details and see full blog post here. 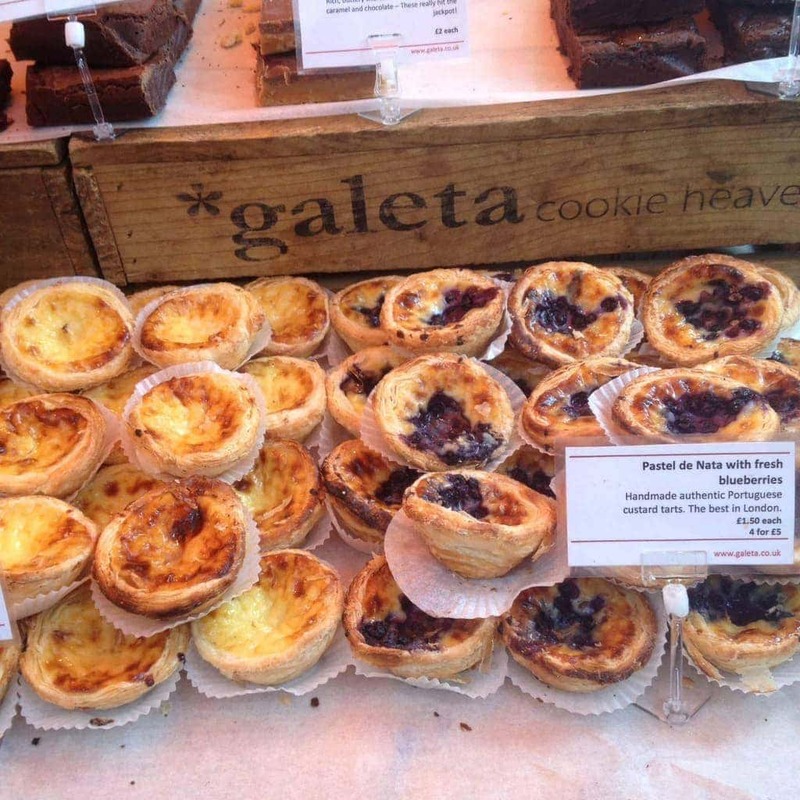 You can’t miss Galeta at Southbank Food Market just around the corner from the London Eye. Their stall is piled high with massive cookies, indulgent cakes and of rows and rows of pastel de nata. They do a classic custard but have also shaken things up with sweet raspberry or fresh blueberry version. The sharp fruitiness together with the rich custard is completely delicious. 4 for £5 too, and whoever just eats one!? Canela is a trendy tapas and bar in the heart of Covent Garden. 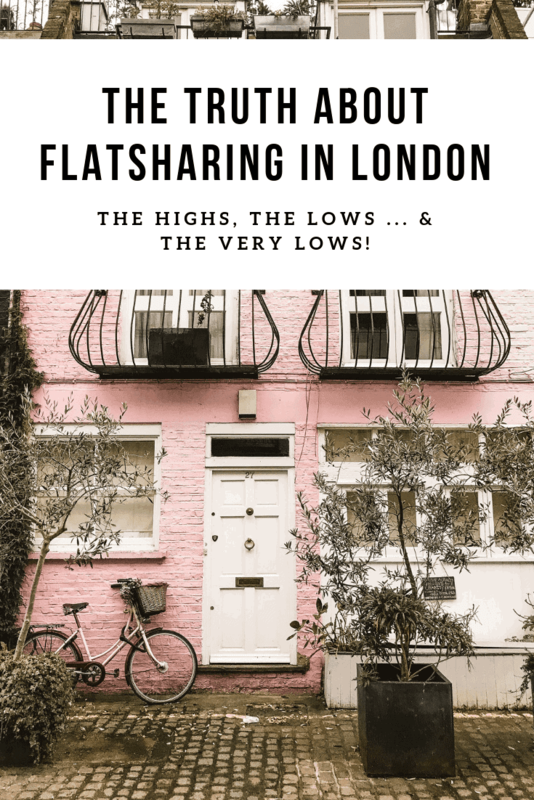 They offer a large savoury menu of Portuguese plates, a large wine menu, as well as their cinnamon, sprinkled pastel de nata A lovely place for a weekend coffee and treat stop if you’re in central London. 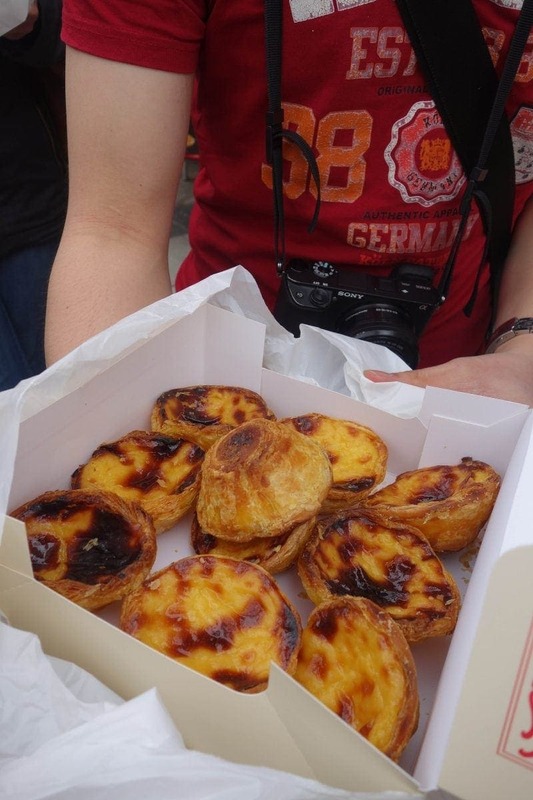 Authentic Portuguese tarts by authentic Portuguese people. Cafe Maderia have a deli, cafe and a restaurant all on one road in South London doing Portuguese delicacies and I’ve read that they supply to the likes of Nandos. You can’t get more Portuguese than Nando’s, right? Haha! Occupying a railway arch in buzzing Flat Iron Square, Bar Douro brings classy, authentic and refined Portuguese food to London. 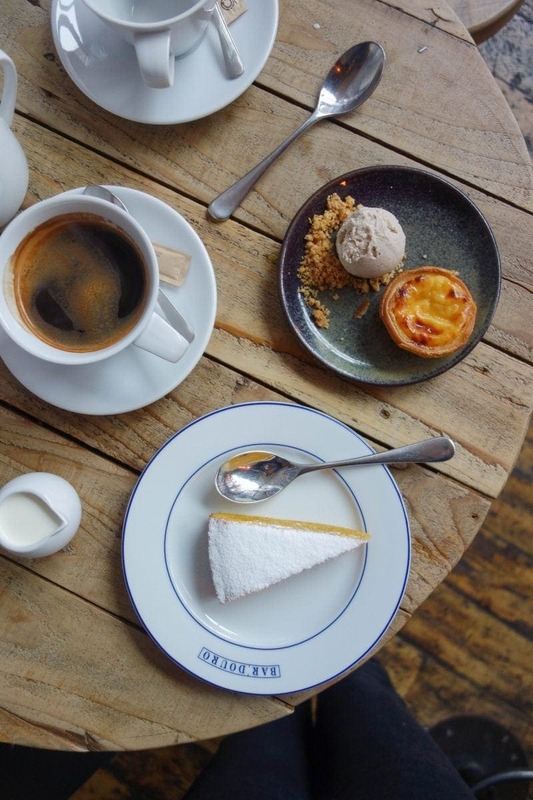 As well as their large savoury menu and extensive wine Portuguese wine list, no meal here would be complete without a coffee and their gooey pastel de nata served with their delicious home-made cinnamon ice-cream. Shopping in Harrods for most people involves looking for designer handbags, 50-inch tv’s and four-poster beds for their pet dog. Me? I head straight to the food court for their piles of pastel de nata made by the Harrods baking team. Not really authentic surroundings but it does mean you can say you’ve eaten in Harrods. Life goal achieved. 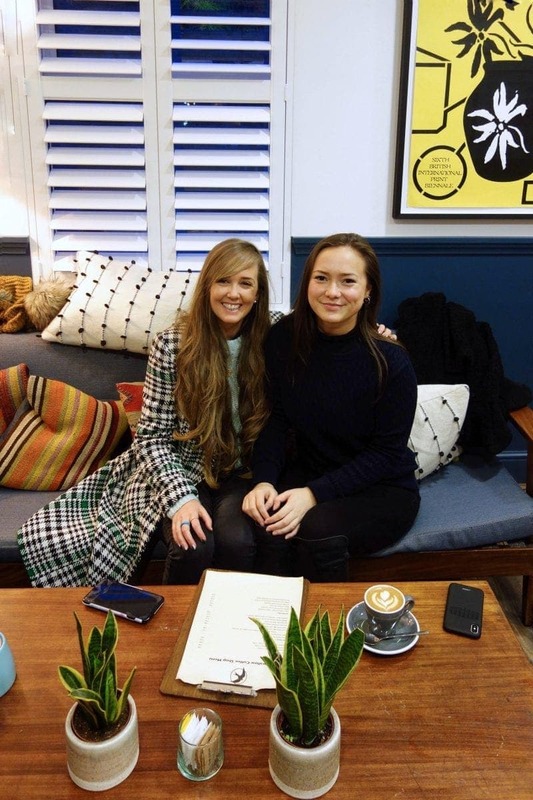 Santanata have recently opened their doors in Covent Garden to their new pastelaria. It’s owned by Francisco Oliveira, whose family have been baking since 1900 and currently own seven successful bakeries in Portugal. As well as being deliciously flaky and gooey, what I love most about Santanata is that their kitchen has floor to ceiling windows which and means you can watch the chefs making them fresh every day. Takeaway only, no seating. Evan here. On the Sunday of our visit one of the things my sister and I did was wander Spitalfield Market, a fun adventure. 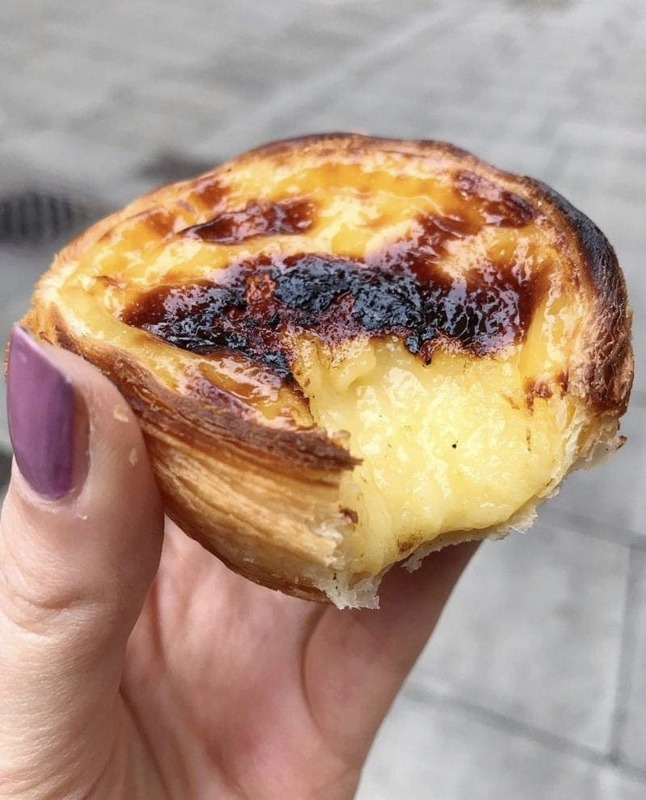 Because of this great blog entry I knew what we had to try while there, Pastel de nata at Taberna do Mercado, Spitalfields Market. Wow, the whole experience at this little spot was wonderful. The pastel de nata were right on the counter for the whole world to see. 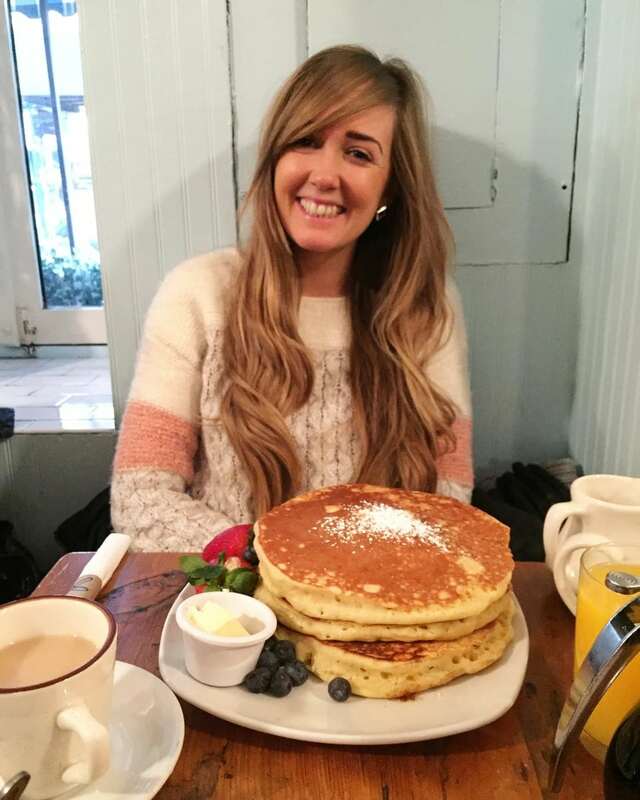 The young woman serving us was very friendly. The pastel de nata was nothing short of amazing. And of all the places we had coffee and hot chocolate while in London this was the one place where it was actually piping hot. A perfect respite from a fun morning at Spitalfields.